At Millwright’s Restaurant and Tavern, we strive to be a home away from home, a gathering spot with inspired New England cuisine in a beautiful, historic setting. Our team's commitment to sophisticated comfort food begins in our from-scratch kitchen, with carefully crafted dishes from locally-sourced ingredients.Millwright’s has partnered with local farms that grow most of the organic produce used in the kitchen. The majority of their products are raised, harvested, or foraged from purveyors in New England and upstate New York. The changing nature of the harvest inspires Chef Tyler and his team to create new menus weekly. And as such, they are firm believers in knowing where the food they are serving comes from. The setting, which provides a spectacular backdrop to the dining experience, speaks of history and nature. The Hop Brook Mill, built in 1680 and now Millwright’s home, overlooks a sparkling pond and rushing waterfall, visible from the dining room and the deck. 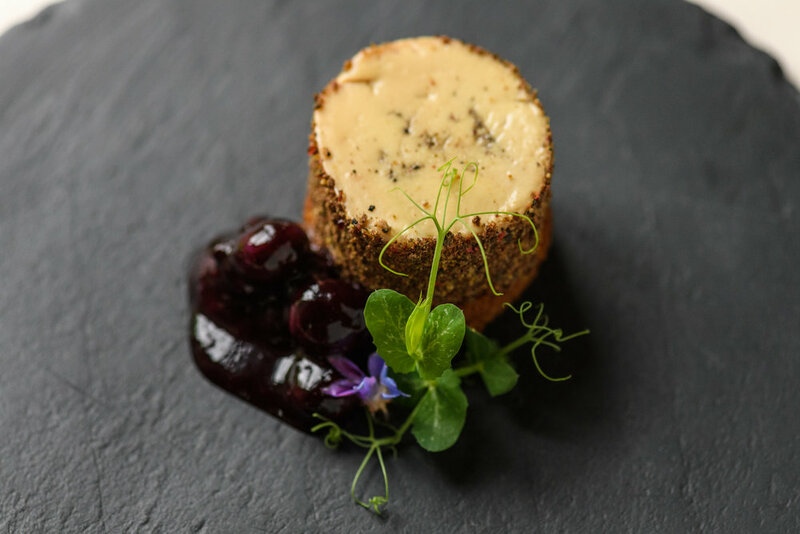 Our regional bill of fare is as diverse as the wine list and cocktail menu, all carefully chosen and developed to complement the cuisine. Our vast wine selection offer myriad choices, both in varietals and prices. Classic cocktails receive a flavor boost from seasonal and local ingredients. International, regional and local craft beers also were selected for their compatibility with food.